On Wednesday this week, I will take part of a panel discussion about virtual platforms and using them for software development, at the IP08 conference in Grenoble in France. We have a good crew, including Markus Willems from Synopsys, Peter Flake from ELDA, and Loic le Toumelin from TI (who I have not met before). 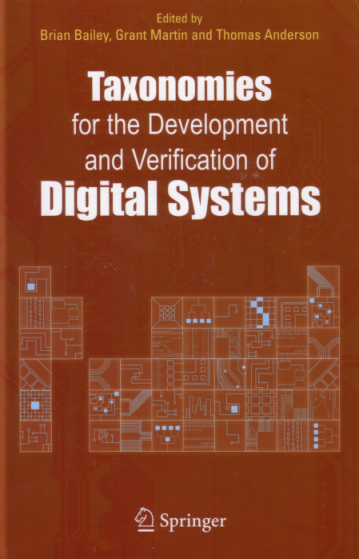 I just read an interesting paper from the 2004 Embedded System’s Conference (ESC) written by Gary Stringham. It is called “ASIC Design Practices from a Firmware Perspective” and straddles the boundary between hardware design and driver software development. It was good to see someone take the viewpoint of “how you actually program a hardware device is as important as what it does”. Gary seems to understand both the hardware design and implementation view of things, as well as that of the embedded software engineer. To me, that seems to be a fairly rare combination of skills, to the detriment of our entire economy of computer system development. I just read a fairly interesting book about the British Spitfire fighter plane of World War 2. The war bits were fairly boring, actually, but the development story was all the more interesting. I find it fascinating to read about how aviation engineers in the 1930s experiment and guess their way from the slow unwiedly biplanes of World War 1 and the 1920s to the sleek very fast aircraft of 1940 and beyond. It is a story that also has something tell us about contemporary software development and optimization. Over the past few weeks there was a interesting exchange of blog posts, opinions, and ideas between Frank Schirrmeister of Synopsys and Ran Avinun of Cadence. It is about virtual platforms vs hardware emulation, and how to do low-power design “properly”. Quite an interesting exchange, and I think that Frank is a bit more right in his thinking about virtual platforms and how to use them. Read on for some comments on the exchange. To continue from last week’s post about my Linux device driver and hardware teaching setup in Simics, here is a lesson I learnt this week when doing some performance analysis based on various hardware speeds. The article/editoral “Using virtual platforms to improve AdvancedTCA software development practice” is now up at CompactPCI and AdvancedTCA Systems, an online and paper journal for the rack-based market. It is about our experience at Virtutech in using virtual platforms to drive system and software development for “pretty large” target systems, even those based on standard hardware. And really, there is no such thing as a standard embedded system. Even if you use a standard backplane and buy off-the-shelf boards and cards to put in it, the combination of cards and added mezzanine cards makes each system quite unique. If you could use completely standard PC hardware for your system with no custom additions or special IO units, the thing would in likelihood not actually be an embedded system. Part of the reason I’m interested in virtualization is as a development methodology. It has not delivered on this, but one of the things that I ask is can I use virtualization to automate someone pulling the Ethernet cable out of the jack? I can get a lot closer to simulating it if you let me create a toy virtual machine than I can running on the live machine. Well, this already exists. It is a common feature to any virtual platform that is not a datacenter-oriented runtime engine like VmWare, Xen, LPAR, and its ilk. Doing fault injection is a primary use case for virtual platforms, especially for larger servers and systems featuring redundancy and fault tolerance. In Praise of Scripting: Something for Modeling as Well? In the July 2008 issue of IEEE Computer, there is short article called “In Praise of Scripting: Real Programming Pragmatism“, by Ronald P. Loui, a professor at Washington University (WUSTL). The article deals with the issue of what is the appropriate first language to teach new CS (Computer Science) students, and considers that a “scripting” langauge like Python or Ruby might be way better than Java (no doubt about that I think). Author JakobPosted on 2008 August 3 2008 December 6 Categories computer simulation technology, programming, virtual platformsTags C/C++, code, DML, Domain-specific languages, programming languages, python, scripting languages, simulation, software tools5 Comments on In Praise of Scripting: Something for Modeling as Well? I have another opinion piece published over at SCDsource.com. The title, “Why virtual platforms need cycle-accurate models“, was their creation, not mine, and I think it is a little bit off the main message of the piece.The follow-up discussion is also fairly interesting. The key thing that I want to get across is that we need virtual platforms where we can spend most of our time executing in a fast, not-very-detailed mode to get the software somewhere interesting. Once we get to the interesting spot, we can then switch to more detailed models to get detailed information about the software behavior and especially its low-level timing. Getting to that point in detailed mode is impossible since it would take too much time. This is something that computer architecture researchers have been doing for a very long time, just look at how toolsets like SimpleScalar and Simics with the Wisconsin GEMS system use fast mode for “positioning” and more detailed execution for “measurement”. It is also what is now commercial with the Simics Freescale QorIQ P4080 Hybrid virtual platform. Tensilica also have the ability to switch mode in their toolchain. See an upcoming post for more on how to get at the cycle-accurate models – this was just to point out that that the article is there, for symmetry with previous posts about my articles popping up in places. The slides from the Power Architecture Conference in München and Paris are now online (and have been for a few weeks) at the Power.org site for the event. Some interesting things there about Power Architecture in particular but also virtual platforms were an almost main theme of the show. As a follow-up to my previous post on the scope of ESL, I found a nice tidbit in an EETimes article… basically saying that hardware design is declining inside the typical system houses. Is SoC (was: ESL) all there is to virtual platforms? SystemC TLM-2.0 has just been released, and on the heels of that everyone in the EDA world is announcing various varieties of support. TLM-2.0-compliant models, tools that can run TLM-2.0 models, and existing modeling frameworks that are being updated to comply with the TLM-2.0 standard. 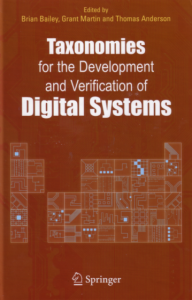 All of this feeds a general feeling that the so-called Electronic System Level design market (according to Frank Schirrmeister of Synopsys, the term was coined by Gary Smith) is finally reaching a level of maturity where there is hope to grow the market by standards. This is something that has to happen, but it seems to be getting hijacked by a certain part of the market addressing the needs of a certain set of users. There is more to virtual platforms than ESL. Much more. Remember the pure software people. Edit: Maybe it is more correct to say “there is more to virtual platforms than SoC”, as that is what several very smart comments to this post has said. ESL is not necessarily tied to SoC, it is in theory at least a broader term. But currently, most tools retain an SoC focus. Author JakobPosted on 2008 June 11 2009 February 15 Categories computer simulation technology, embedded software, embedded systems, ESL, multicore computer architecture, programming, virtual platformsTags C, clock-cycle models, cycle accuracy, Gary Smith, hardware design, SystemC, TLM-2.06 Comments on Is SoC (was: ESL) all there is to virtual platforms? Now the ESC SV 2008 is over. I really enjoyed going to the show this year, and presenting on simulation for embedded systems. The topic has to be heating up, I had some fifty people listen to the talk, which is really very good. Hope that they learnt how to build good transaction-level hardware models, and have some idea on how to apply this to their own projects. Hopefully, I can come back next year for the ESC 2009 (update: this did not happen) and do it again (even though the recent travel trouble makes it a less attractive idea to fly back here right now…).